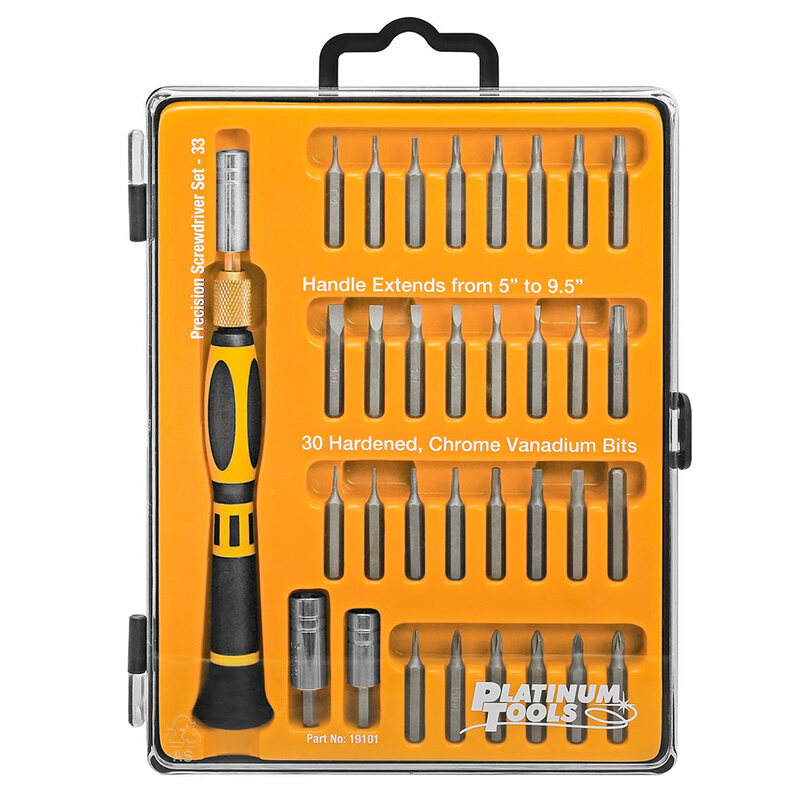 The 33 Piece Precision Screwdriver Set features high quality, hardened, chrome vanadium tips for long life. 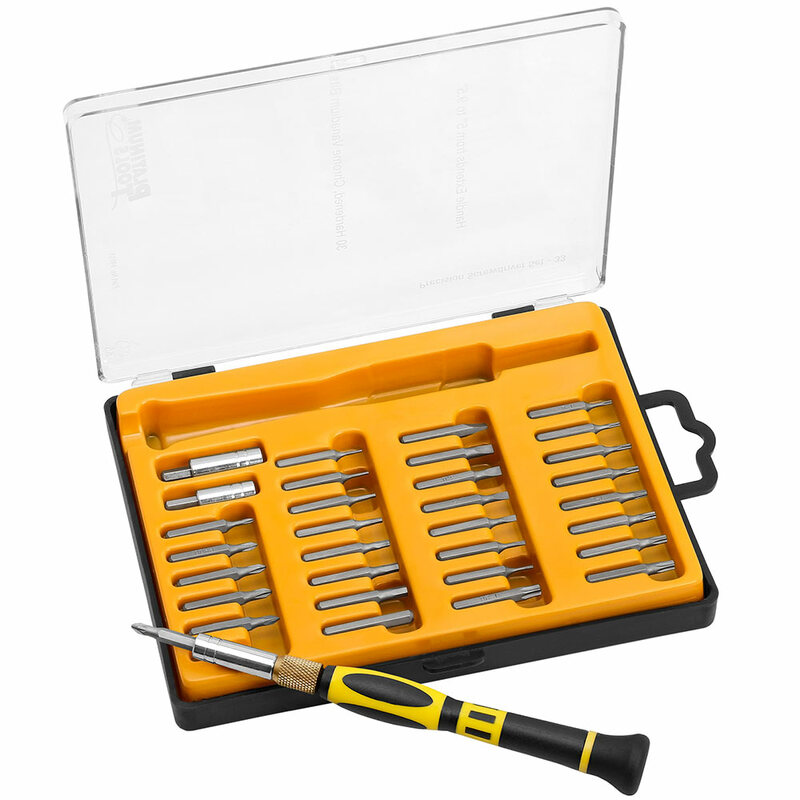 The screwdriver handle is molded from TPR for a comfortable, non-slip grip. The handle is also adjustable from 5" to 9.5", perfect for those hard to reach places. Smooth action rotating cap. Case is molded from high impact plastic. Soft grip screwdriver handle extends from 5" to 9.5". Bits included: Pozi Drive PZ1 & PZ0. Phillips 000, 00, 0, 1. Slotted 1.0, 1.5, 2.0, 2.5, 3.0, 3.5, 4.0. 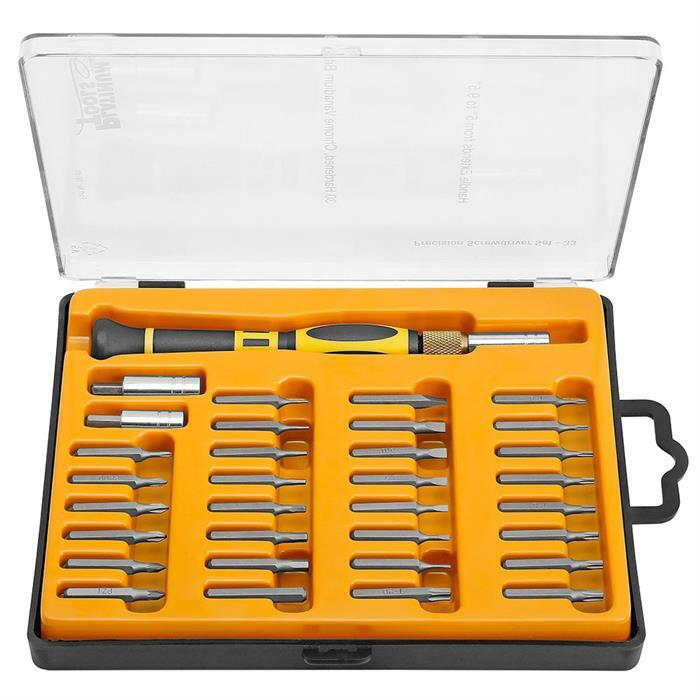 Torx® 4, 5, 6, 7, 8, 9, 10, 15, 20. 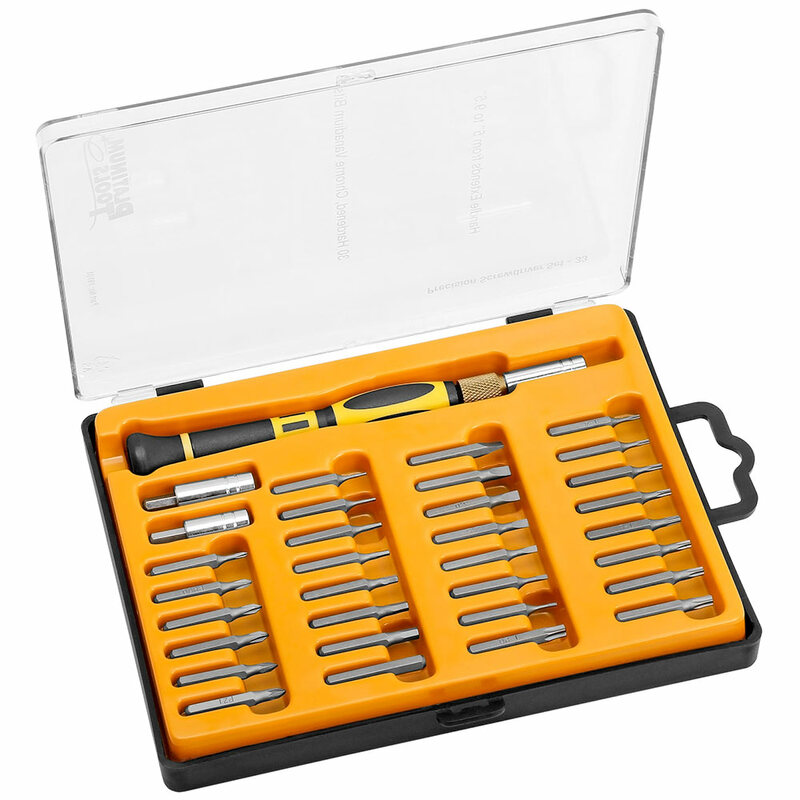 Hex 0.7, 0.9, 1.3, 1.5, 2.0, 2.5, 3.0, 4.0. M5 Socket, M6 Socket, M4 Shaft.